Years of canonization have obscured how John Coltrane was at a bit of crossroads in the early ’60s, playing increasingly adventurous music on-stage while acquiescing to Impulse!’s desire to record marketable albums. Whenever he could, producer Bob Thiele would capture Coltrane working out new music with pianist McCoy Tyner, drummer Elvin Jones, and bassist Jimmy Garrison. 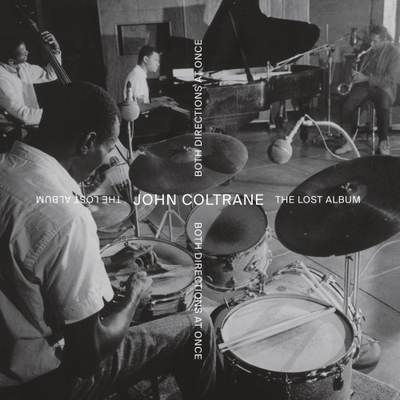 One of these sessions happened at Rudy Van Gelder’s New Jersey studio on March 6, 1963, when Coltrane’s quartet was in the thick of a residency at New York’s Birdland and just before they were scheduled to cut an album with vocalist Johnny Hartman. John Coltrane and Johnny Hartman appeared in record stores in July 1963, but apart from “Vilia,” which popped up on an Impulse! sampler in 1965, the March 6 session sat on the shelf for decades, eventually getting ditched when the label decided to clear out its vaults in the 1970s. Coltrane’s reference tape survived, eventually unearthed by his family and assembled for release as Both Directions at Once by Impulse! in 2018.